Are You Cutting Hydrogenated Fats from Your Diet? - YeastInfection.Org by Eric Bakker N.D.
You are here: Home / Diet And Yeast Infection / Are You Cutting Hydrogenated Fats from Your Diet? July 22, 2013 by Eric Bakker N.D. Fat. It’s a scary, three-letter word. Dieters tend to avoid it at all costs. The truth, though, is that your body does need some fat in order to function properly, but many of us are eating the wrong type of fat. There are four main types of fat: trans fat, polyunsaturated fat, monounsaturated fat, and saturated fat. Saturated fat is typically described as the worst for you, because the carbon atoms bond themselves to hydrogen atoms instead of to more carbon. Monounsaturated fats are technically saturated fats, but they involve two carbon atoms bonded together with one hydrogen atom between. ; they could technically split and bond with even more hydrogen. Polyunsaturated fats have at least two double bonds, and many times more. Trans fat is, believe it or not, the only kind of fat that is man-made. Hydrogenated fats contain a secondary type of fat, called trans fatty acid. They’re named this way because they literally “transport” the hydrogen atoms from the cells where they were created to a new location in your body. Hydrogenated fats, or trans fats, are as bad for you as all of the saturated fats. The problem is that hydrogenated fat is created when manufacturers add hydrogen to the oils, allowing liquid fats to turn into solids. This gives the fats a longer shelf life. Hundreds and hundreds of the processed foods you eat contain hydrogenated fats. When it comes to fighting your Candida yeast infection, one of the key points above is the way hydrogenated fats can disrupt your immune function. 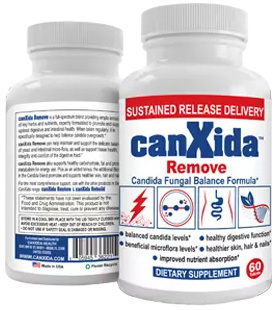 The Candida organism is already depressing your immune system, and adding hydrogenated fats to the mix makes it even easier for the yeast to grow and thrive. As you work through the Candida Crusher diet, you’ll find yourself reducing hydrogenated fats as you learn to eat a healthier diet. You do need fat in your body, though, in order to function properly. Coconut oil, while considered a saturated fat, is not hydrogenated and actually has a ton of health benefits. Coconut oil helps to give your brain energy, which is especially important since you won’t be getting the ketones produced by glucose while you’re eating a strict no-sugar, no-carb diet. Ghee is another great alternative and is often called a healing butter. Ghee is butter, which is actually a very natural food, but it is raw and organic and is obtained from the cleanest sources possible. Ghee is a great source of selenium, linoleic acid, vitamin D, and energy. As you work through the Candida Crusher program, you’ll find that cutting hydrogenated fats is a bit difficult. Give it some time, and by the time you’re finished you’ll feel so good you’ll never even want to look back at packaged products and hydrogenated fats again. Is Fish Oil Good For Yeast Infections?